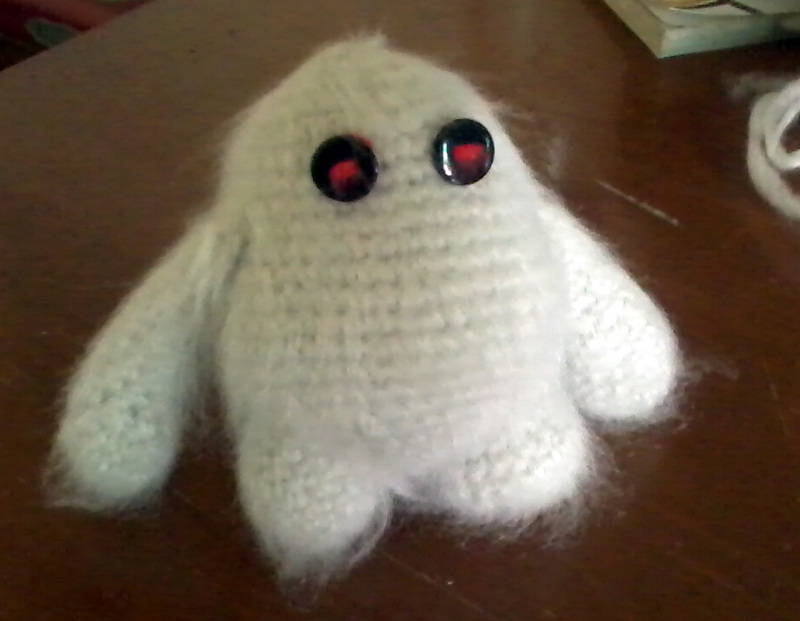 I just made a monster amigurumi. The fur was created by brushing all over the body using a toothbrush. I used two buttons for the eyes.